Breville Dual Boiler vs. Rancilio Silvia | What's Best for you? » Breville Dual Boiler vs. Rancilio Silvia, What’s Best for you? 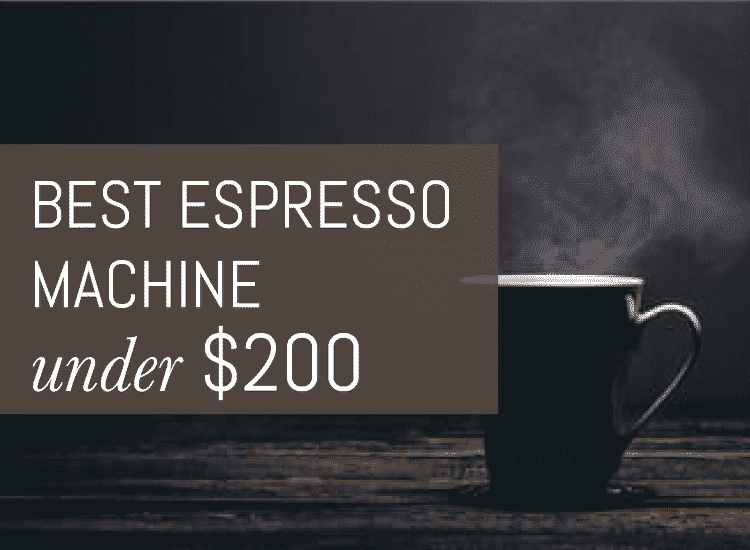 When you want to sip a cappuccino that tastes as close to the one served up by your local barista as possible, you might want to think about investing in a semi-automatic machine. The Breville Dual Boiler and Rancilio Silvia are two popular models up to the task. Unlike a fully automated machine that does everything for you, a semi-automatic machine requires you as the home barista to grind and tamp the coffee yourself and then flip the switch to dose the right amount of hot water through your handle for a single or double shot of espresso, turning it off when your shot looks right. You control when to activate the pump and when to turn it off, as well as the total water flow for every shot you make. The Final Shot: The Breville Dual Boiler is the clear choice for the more experienced espresso lover looking for a top end experience and the ability to finesse the perfect shot of espresso. The ability to extract and steam simultaneously plus the over pressure valve set the Breville apart. The Rancilio is still a great machine, but better for more novice users. Automatic machines just won’t give you this control, but quality semi-auto machines, like the Breville and Rancilio will. There may be times where you build a shot and notice it’s pouring very slowly, but still looking very good with lots of crema. With an automatic machine, the machine decides when to end your shot – and it may end the shot too soon. On a semi-auto, you can decide to allow the pump run longer before you hit the switch to stop things. These barista skills may sound intense, but really, all you need is a good weekend of practice to start pulling good quality shots and get the feel of a machine. Both the Breville Dual Boiler and the Rancilio Silvia are higher end semi-automatic machines with a range of features to help you to improve your barista skills. But which one has the edge? To help you decide, we’ve taken these two machines head to head to find out which one will give you a superior cup. Both The Breville and Rancilio offer users a combination of commercial quality and at-home convenience for a great user experience. What does this really mean? Basically some elements of each machine are professional grade so they’ll be built to last, which is reassuring if you’re going to make the investment in a semi-automatic – they’re serious pieces of equipment. Both machines are stainless steel and come in a stylish and clean modern design. Although not as important as all the other features they offer, it’s always a bonus when your coffee gadgetry is also easy on the eye. Both of these machines also come from brands with a great reputation for producing espresso machines and coffee-making accessories. This means that you’ll be joining a community of users who can help you troubleshoot issues and share coffee tips later down the line. The Dual Boiler and Silvia also both feature articulating steam wands for frothing milk for lattes or cappuccinos. Users love the quality of the wand on both machines and have found them nuanced enough to produce the microfoam needed for latte art. Those three characteristics are pretty much all these machines share in common. The rest of the functionality and design are indicative of two different approaches from two very different brands. The biggest difference between these two espresso makers is the dual boiler the Breville comes equipped with. As the name suggests, the machine has two water heaters- one for the steam wand and another for the espresso handle. You might be wondering whether this simply means you have two reservoirs to fill and de-scale. The news is much better than that. The double boiler feature on this machine means that you can make espresso while simultaneously steaming the milk. No waiting. This is more than just a way of saving a few valuable seconds. It means that the water temperature in each of the boilers is customized to the function it’s being used for. We all know the not so great taste when a newbie barista overheats the milk. With a double boiler this is less likely to happen because the water can be set to different temperatures for espresso and steaming. Of course, this isn’t so much of an issue if you’re only using this machine for a classic shot of caffe nero, but for latte lovers out there, it’s a great bonus. In the case of the Rancilio, the machine runs a single boiler machine, which means there are two internal thermostats to control the temperature of the water passing through the different parts of the machine. When you want to switch from making espresso to steaming milk, you flip a switch and purge the machine manually. You also have to wait to steam until after your espresso is done. The dual boiler on the Breville really increases the overall footprint of the machine. Although you’re rewarded with a larger water boiler, for some coffee lovers, such a large machine simply might not be an option if you’re short on space. There’s nothing worse than a great kitchen gadget that takes up so much space that you no longer have counterspace for cooking. If you’re short on space, or moving regularly, you might want to opt for the compact size of the Rancilio. The Dual Boiler also features an Over Pressure Valve (OPV). Aside from sounding technical enough to satisfy your inner coffee geek, this feature limits the maximum pressure at work in the machine during the extractin of your espresso, preventing bitter flavors from infiltrating your shot. This is a great way of ensuring flavour consistency throughout your coffee. The Over Pressue Value also gives you a true low pressure pre-infusion, which gradually increases the pressure to gently expand the grinds for an even extraction- as we know from grind to pour, uniformity is key to an even flavour- and this pressure control achieves just that. 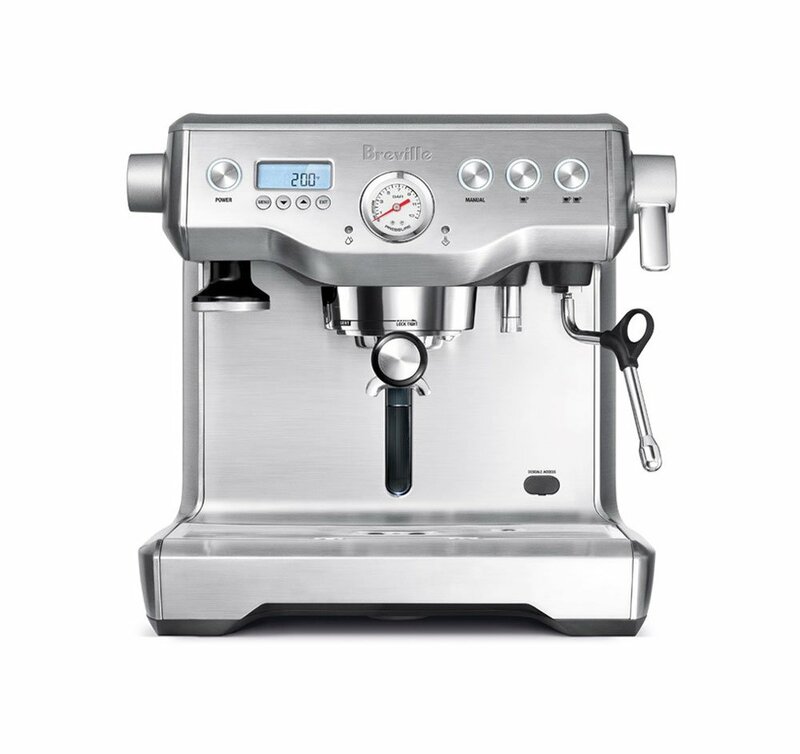 The Breville comes in at a much heftier price point than the Rancilio. A bigger machine with more features, there is some value for money on the go, but you need to be sure you need all these added extras before you make the investment. For example, if you only want this machine for a quick espresso on the weekend, you might go for the Rancilio, but, if you’re a serious at home pro-sumer and want to hone your barista skills, then you should consider investing in the Breville. If you live in a hard water area, you’ll be familiar with seeing limescale build up in your washing machine and shower. When it comes to espresso machines, limescale isn’t good news either. To keep cleaning simple, the Breville comes with a descaling function to make machine maintenance a little easier. If you find these jobs a real chore and don’t want to spend the time and money taking your machine in for cleaning, this simple function is great news. The Rancilio doesn’t offer any special features for de-scaling or maintaining the water tank or internal mechanism of the machine. As you’d expect with its bigger footprint, the Breville has a larger water tank. This means fewer top ups to the reservoir if you’re making coffees all day, or making a range of drinks for a larger group. This is one of my go to features when comparing two machines because the convenience factor is huge. Although these two machines seem pretty similar as semi-automatics at first glance, they really do offer an entirely different experience for different types of users. With far more extra features, the Breville offers the consistency control of the over pressure valve, the convenience of a de-scaling feature and the bonuses of a double boiler. The Rancilio is a much more streamlined machine that offers a back to basics experience. This is a good pick for newer espresso fans who aren’t as interested in some of the higher-end bells and whistles. Those extra features in the Breville are reflected in its higher price point, so you’ll need to consider if you’re ready to make this investment, and whether all the added features really fit your coffee style. If you simply like to make a great espresso at home once in awhile, then you may be better suited with the simplicity of the Rancilio instead.